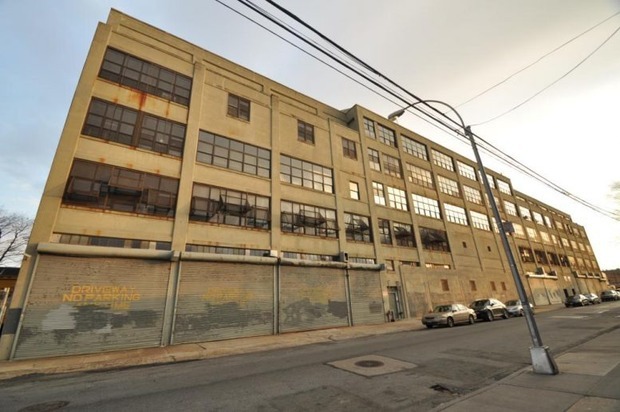 Huge warehouse conversions are nothing new in post-industrial Bushwick and Ridgewood, so it comes as no surprise that yet another huge space may very well become available as of 2020. As The Real Deal and New York YIMBY report, the owners of the building at 56-10 Decatur St., AB & Sons, are planning on submitting rezoning application documents to Department of City Planning. Rezoning would allow the now commercially zoned building to house residents. There are no details yet regarding how many units can be squeezed into the space, but the new Mandatory Inclusionary Housing law stipulates that between 20 and 30 percent of those units would have to be affordable. How affordability is determined in the neighborhood comes down to a rather complicated metric based on area median income. The building itself is near Myrtle Avenue and about halfway between the Halsey Street L train station and the Seneca Avenue M train station, making it a good location, perhaps, for when the L shuts down. Featured image: Exterior of 56-10 Decatur St. courtesy of PropertyShark.